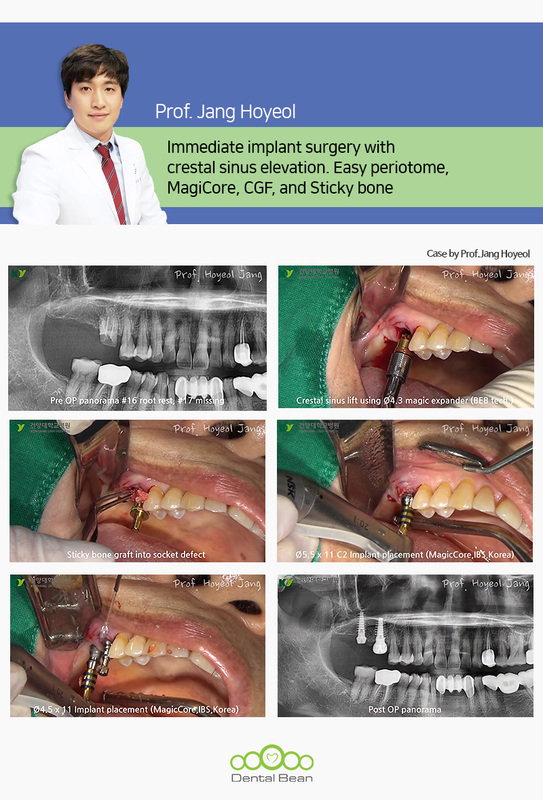 This case shows how to use MagiCore implant for flapless immediate implant surgery with crestal sinus elevation. Atraumatic extraction is possible with Easy extraction set. Although 3D bone defect exists inside the socket, 3D augmentation can be performed easily using the Sticky bone in flapless surgery.